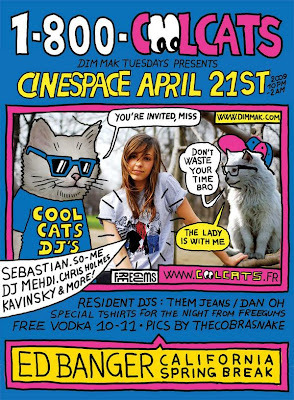 According to the Ed Banger myspace, from April 6th to April 22nd there is an "Ed Banger Takeover". The real party starts at Coachella on the 19th with Busy P scheduled to play. 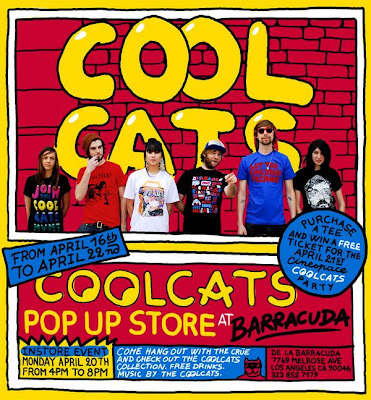 THEN at the "Cool Cats Pop Up Store" they will have a free mini-show along with free drinks, signing. Jealous yet? I am. I WON'T be attending, but my obsession with SebastiAn will involve some major sulking on the 20th through the 22nd, when the uberparty is going on. So, you should definitely go if you can. Have the time of your life. Especially if you're 21 or older.